Yoo Bang unexpectedly encounters Han Shin. Han Shin calls the police, Yoo Bang has no choice but to flee in panic. Cheonha Group is facing a financial crisis, Oh Ji Rak expresses that he is willing to cooperate with Jin Shi Hwang to operate Cheonha Group, but is opposed strongly by Jin Shi Wang. The new drug stole is actually is a comprehensive nutrition supplement, Han Woo feels that his action outweighs the benefits. 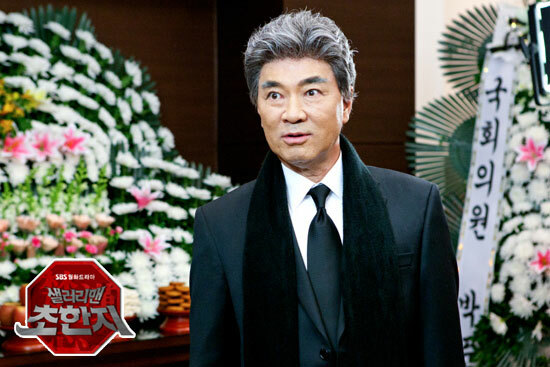 Beom Jeung appears to expose the identity of Hang Woo, Hang Woo is forced to work with him. After eating the nutrient supplement, Yoo Bang is suffering from side effect. He suspects that the nutrient supplement is the new drug. Yeo Chi reveals that she used to see the resignation letter of Hang Ryang on the crime scene, and people suspects that Hang Ryang may be the murderer.